Atticus,a name that encompasses wisdom through experience, is tuned as such. Often audiophile’s are told to search for a neutral sound, when in practice, warmth is what is most pleasurable, desirable and most lifelike. The Atticus embraces this knowledge, and takes it to the next level, with clarity, a vivid mid-range, and vigorous bass. This closed headphone will take you away into a world that you may never recover from. When looking for a closed hammer-fist of glory, and a compulsively musical and vast-staged chameleon, you’ve come to the right place with the atticus and aeolus. The Atticus and Aeolus are true ZMF Originals: designed from the ground up and made with great care. With purchase you can rest assured that we warranty our drivers for life, and offer a 3 year warranty on mechanical parts. The entire cup enclosure is constructed from solid wood, for a unique and organic sound. Our wood cups provide not just a beautiful enclosure, but one machined to surprise with comfort as well. The Atticus and Aeolus use a proprietary ZMF TPE driver for a nodal, quick response with punch and engagement. The Atticus and aeolus specialize in sounding warm, fast, and dynamic in a coexistent sonic landscape. The ZMF Atticus and Aeolus are all original and built to last a lifetime in the USA. Our headphones do not come off an assembly line. They are actualized individually by our skilled technicians in Chicago, Illinois with unmatched attention to precision and detail. I started modifying Fostex t50rp headphones in 2010 as a musical outlet I lost when moving to Chicago from New Hampshire, as the reduced space didn’t allow me to build acoustic guitars. Ultimately this led to me gifting my brother a modified t50 during the holidays. At this point, I was deep in the throws of graduate school, where I studied and taught film directing. Before I began to modding headphones, I had been immersed in building acoustic guitars. My time was spent learning from master Luthiers, obsessing over the acoustic properties of wood, and perfecting my finishing and assembling skills. To my surprise, I felt the same excitement in completing a modified headphone as I did when I finished building an acoustic guitar. Modifying headphones was also a much more reasonable hobby for apartment living than was building guitars. Over the next year, in order to feed my addiction to modifying headphones, I started selling my modifications under the moniker ZMF Headphones. I had already started an LLC as Zach Mehrbach Films (ZMF) for my course work, so why not use the corporation’s acronym for headphones? The business started slow, with me pretty much selling the headphones for what it cost me to build them. I was not looking to get into business. Fast-forward three years later, to early 2014, and it was time to make a decision about whether or not to continue my job as an adjunct professor of film, or to go all-in with the headphone world. I took the risk, followed my passion, and now I work full time, with a small staff making headphones. I love what I do and feel like all my creative and intellectual interests are fulfilled stretched through this business. The Atticus and Aeolus are more largely influenced by our t50rp tunings than are any of the other proprietary dynamic headphones we make. 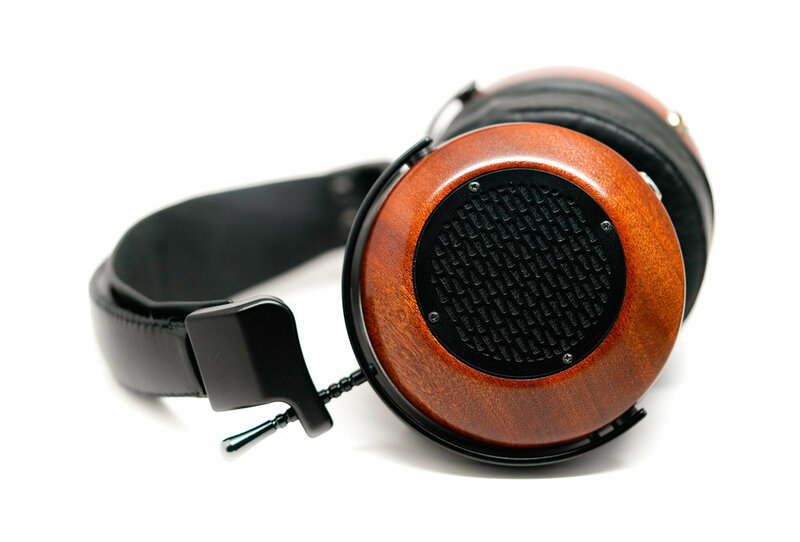 The Atticus and Aeolus feature a warm tilted tuning, which became known as the “ZMF House Sound” (slightly warm, spacious, clarity without sibilance) through our modified t50rp headphones. 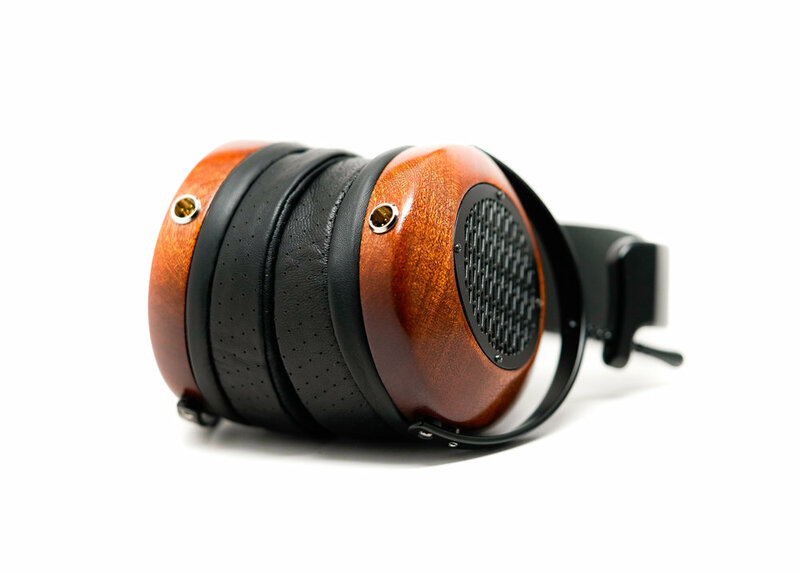 When finalizing the Atticus in 2016, it was hard to know if there was an audience that would be interested in a headphone with such a warm tuning. For a long time, warm tunings were taboo within the audiophile community. You could enjoy a warmer sound, but forget about admitting it if you wanted to maintain credibility on the forums! Nonetheless, we released the Atticus. It just sounded so good. The Atticus was warm, yes, but why was warm conflated with bad - who made that rule? The Atticus had an inviting nature and retention of micro-detail and clarity that was really enjoyable. At first our more neutral closed headphone, Eikon, was more popular than the Atticus, but after more listeners got to hear the Atticus magic, popularity has been dead even between the two models for most of their life-times, with the choice coming down to subjective preference. Since the Atticus’ release, many happy owners have been asking for an open headphone with the Atticus’ lush sound. 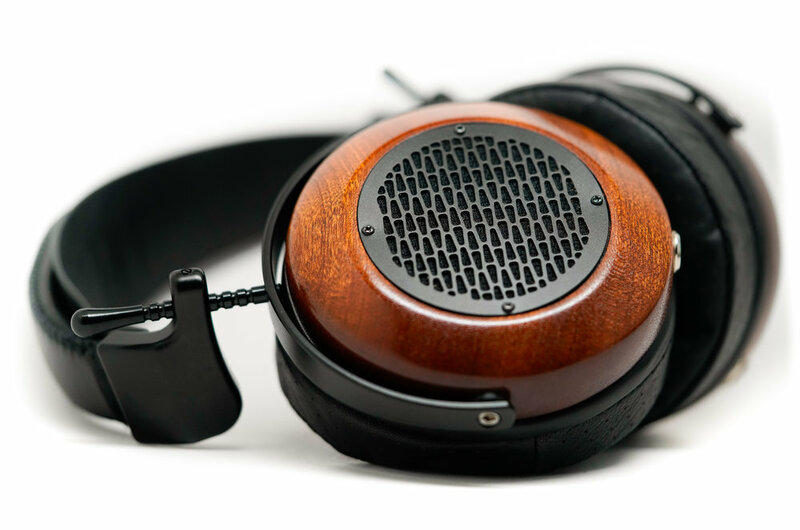 I’m very excited to present a headphone that will be the perfect sonic compliment, The Aeolus. With build quality influenced by vintage instruments, ZMF Headphones are built to be passed on from one generation to the next. A build made completely of wood, metal and leather is the ultimate in premium quality and beauty. All suede vegan earpads and headbands are also available. Every Atticus and Aeolus comes with a Seahorse SE-430 hard-case. These water-proof, dust-proof and life-proof cases will keep your investment secure. Designed to be worn for long periods of time, every ZMF Headphone utilizes a double headband, ZMF heat-activated memory foam earpads, and our light weight chassis, making listening comfortable and relaxing. 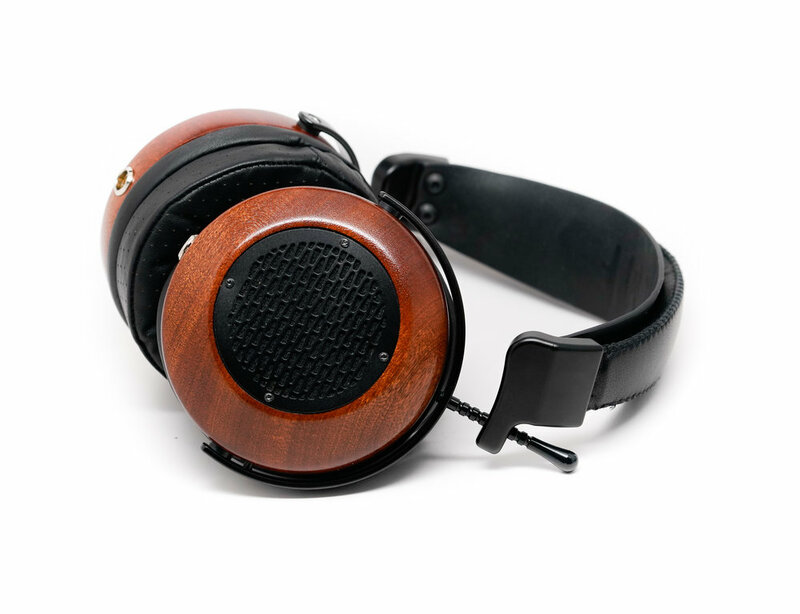 Carefully chosen, kiln-dried wood (to at least 6% MC) is used for each headphone to ensure consistent performance and durability. Through extensive experience with building guitars and headphones, Zach carefully curates ZMF’s wood offerings to compliment the needs and abilities of each specific ZMF driver. Meticulously CNC’d, sanded, and finished, each aspect of our process is thoughtfully focused on bringing out the unique beauty offered by each set of wood cups. 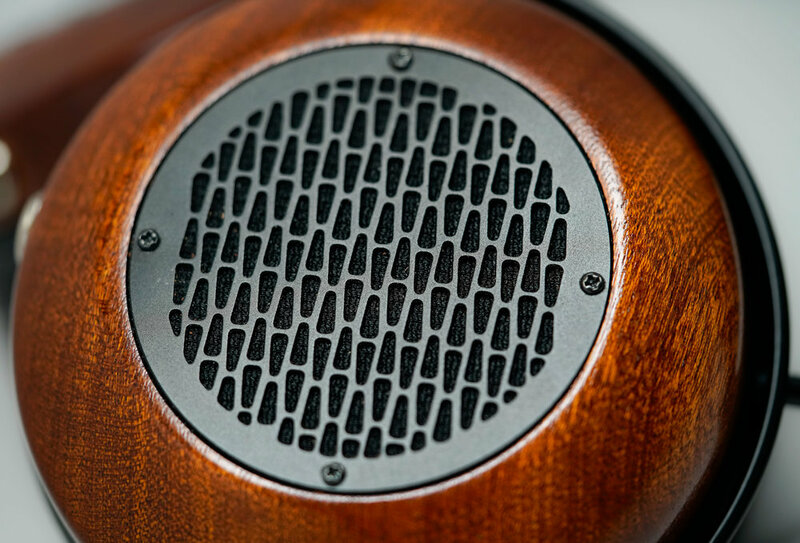 ZMF uses a variety of wood finishes that are chosen to bring out the natural color and wood-grain from each billet. The ZMF lineup of accessories and gear is designed to present a cohesive package both sonically and aesthetically. We offer a variety of matching or complimentary wood cables, amps and accessories.